Many grocery chains carry gluten-free brands. These products are commonly found in the aisles that contain natural and organic foods or they may even have their own section, labeled “gluten-free foods.” It’s also important to remember that most of the fresh foods found along the perimeter of the store (outside aisles) including fruits, vegetables, meat, poultry, fish, and dairy are naturally gluten-free. Rice, beans, peanut butter, nuts, cooking oils, and corn and rice cereals are also typically gluten-free. Watch for possible gluten cross-contamination. This means foods that have gluten in them come in contact with gluten-free foods. Be aware of gluten cross-contamination at delis, buffets, and salad bars. How can I stay gluten–free while eating away from home? Eat breakfast at home or pack a gluten–free breakfast to eat at school or on–the–go. Work with your parents, nutritionist, or school nurse to find gluten–free foods on the school breakfast and lunch menus. Pack your lunch in an insulated bag to eat at school or on–the–go. Keep gluten–free snacks such as fruit, cheese sticks, trail mix, snack bars, crackers or nuts in your backpack for times when you need a quick snack. If you’re planning on eating at a restaurant, go to one that has a gluten-free menu or talk with the restaurant manager to find gluten-free menu items before ordering. Remember to tell the manager or chef that both the meal AND its preparation must be gluten-free. 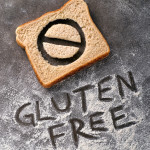 More and more restaurants are becoming gluten-free friendly and making it known on the menu. However, because “gluten-free” in some instances is seen as a trend rather than a medical necessity, it is important to tell the server or manager your level of sensitivity rather than just ordering something labeled gluten-free. Some restaurants are easily able to make modifications to meals even if they do not have a separate gluten-free menu. When in doubt, always ask, even if the meal appears to be gluten free on the menu; usually not all ingredients are listed on the menu. Hidden sources of cross-contamination at restaurants include using the same pans and utensils to bake gluten-free bread, using the water from boiling pasta to steam vegetables, and adding bread or flour to thicken soups.